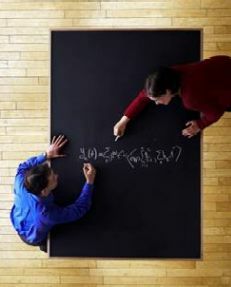 The MathEd Forum meets on a monthly basis during the academic year. The meetings are at the Fields Institute, teachers and interested participants are welcome to attend. Forum meeting agendas are sent out to this mail list and you will receive announcements about activities in the field of mathematics education. This international peer-reviewed online journal aims to provide open access to the range of themes that attract attention of the mathematics education community in Ontario, Canada and internationally. The focus of this periodical is to stimulate discussions, reflections, research, and commentaries about mathematics education within and between different interest groups. 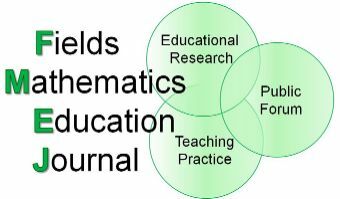 The FMEJ particularly encourages submissions of manuscripts related to presentations at the Fields Mathematics Education Forum. The journal is intended for any person interested in mathematics education, including researchers and practitioners. It has an international editorial board and will be published bi-annually. MathEd Forum Task Force Reports An archive of past task force activities and their reports. Announcements of interest to MathEd Forum members and interested participants. Past Activities in Math Education Archive of annual activities in Math Education supported by Fields.